Oleta River State Park, now the largest urban state park in Florida, was for many years a neglected former development site. In 1981, the State of Florida acquired the land with the goal of returning it to its natural state for the benefit of Florida’s citizens. Though the park has added to the ecological health of the Miami area, it continues to be challenged by invasive plant and animal species. 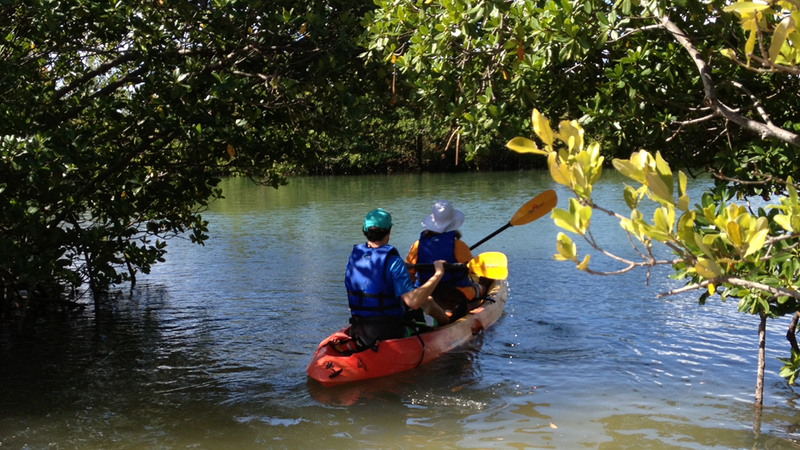 Designated a “Florida Outstanding Waterway,” the Oleta River is the only remaining natural river in Miami-Dade County. Thousands of years ago, Tequesta Indians positioned their settlements along the river, and by the 1800s, European settlers referred to it as Big Snake Creek. The waterway was renamed the Oleta River by developers in 1922. MUVE and its volunteers have worked since 2012 to restore tropical hardwood forests throughout the park.